Evolutionists believe that dinosaurs appeared about 240 million years ago and then disappeared again about 65 million years ago. They believe in the development and evolution of different dinosaur kinds within that period of about 175 million years. In order to understand any type of animal, it is always helpful to find subdivisions, usually by looking at an easily observed feature. Traditionally, dinosaurs have been divided into two orders, based on the shape of their hips. 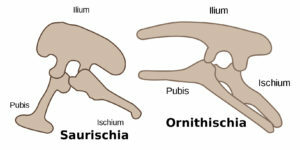 These orders are known as saurischia and ornithischia. The former order have hips shaped like those of lizards – hence, they are lizard-hipped, which is what saurischia means. 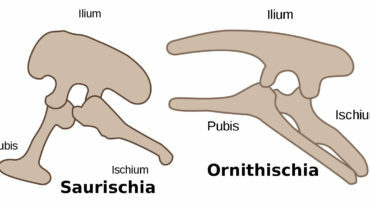 The latter order have hips shaped like birds, so they are known as bird-hipped – and that is what ornithischia means. The saurischia order includes sauropods and therapods. Sauropods are the large, long-necked, long-tailed dinosaurs, like apatosaurus and diplodocus. Therapods are the allegedly fierce meat-eaters, like tyrannosaurus, allosaurus, and oviraptor. Ornithischians include stegasauruses and ceratopsians – the group that includes triceratops. 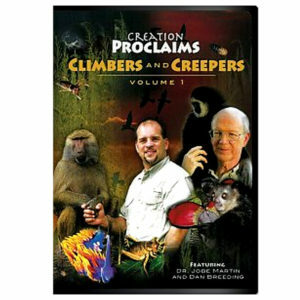 As we know, evolutionists believe that birds evolved from dinosaurs. So, obviously birds evolved from bird-hipped dinosaurs, right? Wrong. Evolutionists believe that birds evolved from therapods, which are lizard-hipped. The division between bird-hipped and lizard-hipped creatures is so old that even I remember reading about it in childhood dinosaur books. But now modern evolutionists are abandoning the theory, suggesting that therapods evolved from within the ornithischian kind, somehow temporarily producing lizard-hips, which would evolve back into bird-hips. As creationists, we look at the bone structure of dinosaurs and think that they look as if they have been well designed for the purpose God gave them. Prayer: In everything around us, Father, we see the hallmarks of Your design. We thank You that You made everything so well, according to Your good pleasure. Amen. Ref: Some Questions about Dinosaur Hips, < http://www.extinctblog.org/extinct/2017/4/8/stasis-and-change-in-dinosaur-hips >, accessed 3/26/2018. Image: Compiled from two separate Wikimedia images, with the same license: Creative Commons Attribution-Share Alike 4.0 International.